ECommerce: When Is Free Shipping a Good Idea? Particularly in the UK market, free shipping is rapidly becoming an expectation. According to research at least 73% of people shopping online say that free shipping is critical to their purchase decision. As a business owner, meeting the expectations of customers is extremely important, however so is ensuring your business is profitable and that it can cover shipping costs no matter the scenario. Fully calculating and keeping track of both your postage and packaging can be tricky if you are tackling order fulfilment by yourself, or far easier if you are using an e-fulfilment service. Either way it’s important to factor your overheads into making the decision of offering free shipping to your customers or not. Research shows that a whopping 93% of shoppers online are encouraged to buy based on free shipping being available on all orders. But the financial feasibility will depend on what products you are selling online. A general rule of thumb is to only offer free shipping if your products are over £30 each and you have a good margin. If, for example, you are only selling small £2 items, then free shipping will likely result in a loss. If you are offering competitive items where the cost of free shipping is easily absorbed into the price of the item then free shipping is certainly a good option for you. It’s important at that point to ensure that you are making your free shipping clear, so that online shoppers who are likely to compare your prices to a competitor may prefer you if the competitor charges for shipping plus the cost of the item. You can enjoy the benefits of the above strategy whilst also limiting your financial commitments by only offering free shipping for orders over a certain amount. The thought of free shipping will often encourage shoppers to spend more in order to achieve it. A good strategy is to introduce free shipping for an order value 10% over your current average order value. To make sure you are covering all bases however, you will want to check that if a customer was to purchase a large quantity of your lower value items that breaks the free shipping threshold, that your free shipping is still going to make a profit. Another popular and effective option is to charge a clear amount of shipping no matter the size of the order. This gives customers a clear view of what they will be paying for delivery even before they have arrived at the checkout process. This method often encourages customers to purchase more items at a time, as they are more likely to purchase a large amount, but return to you regularly. Again, what you should charge as a flat-rate depends on the products you are selling, their value and their weight, so ensure that you calculate this correctly to cover yourself whilst still being enticing and cost-effective for customers. Some large websites that have regular online business have implemented successful membership systems that give their customers free shipping (and other benefits) for a monthly or annual fee. Whilst this may generate a lower margin in comparison to some of the other methods mentioned, you may benefit from a large turnover increase. An excellent example of this is the hugely successful Amazon Prime! Regardless of the shipping strategy you choose, the most important step is to ensure that your customers are aware and understand your delivery and returns information. 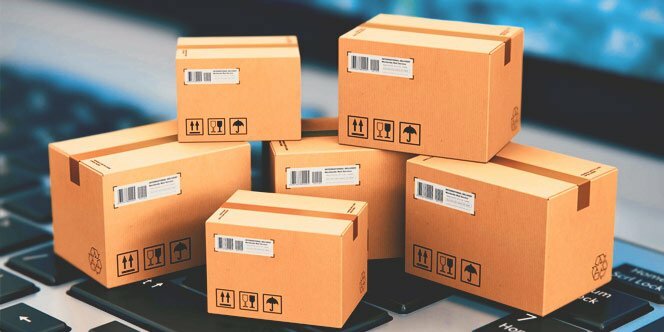 Your shipping promotion can encourage customers to purchase more, or return regularly to your eCommerce store and make them less likely to abandon their shopping basket before completing their purchase. It’s just as important, of course, to fulfil your shipping offerings. If you’re struggling at that stage, outsourced eCommerce fulfilment may be a great choice for you. https://www.pointbidlogistics.com/wp-content/uploads/2018/09/free-shipping-ecommerce.jpg 332 664 Pointbid https://www.pointbidlogistics.com/wp-content/uploads/2017/11/pb-colour.png Pointbid2018-09-20 15:07:002018-10-18 10:27:31ECommerce: When Is Free Shipping a Good Idea?